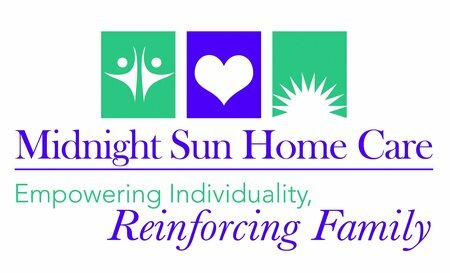 At Midnight Sun Home Care, our top priority is for our clients and their loved ones to feel listened to, advocated for, educated about choices, relieved of stress, and served in the most personalized and collaborative way. That's why we deliver the highest level of person-centered, relationship-focused in-home care and communication. At Midnight Sun Home Care, we believe that our work is best informed by the relationships we build with our clients and their families. We know that individuals and families are healthier when they are supported through life's transitions. Through relationship building and active listening, we work hard to get to know each individual we serve and his or her loved ones so that we can provide the very best care and reinforce family relationships. Our experienced care team is trained to provide personalized care and assistance that is always relationship-driven and family-focused.